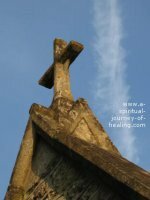 This blog gives advice on spirituality and healing. It aims to encourage you (and myself) to go deeper with your spiritual practice of choice, whether it be forgiveness, prayer, silence, meditation or the conscious sending out of blessings. 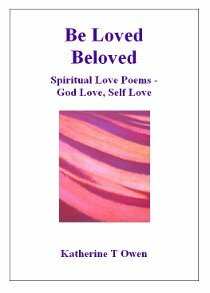 Spiritual poems and articles on faith, self help and psychology share my journey of accessing a source of Love and Strength beyond myself while living with very severe ME/CFS and then milder ME/CFS. My name is Katherine T Owen. 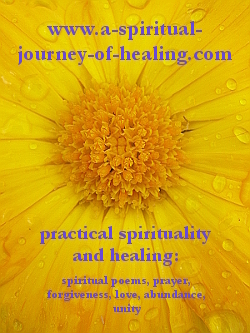 Thank you so much for being a visitor to A-Spiritual-Journey-of-Healing.com. For 12 years I practised a healing visualization for climbing these stairs. This video shows how I got to do it FOR REAL! ...Two years since my recovery to stand and walk again. ...One year since I stopped using the wheelchair. ...Six months since giving up my last care session to help with the weekly shop. To celebrate my independence, I returned to where I lived bedbound with ME/CFS for 12 years. I bumped into a former neighbour who had never seen me walk before. She let me in the building to live out my visualization of climbing the stairs. Please take a look around the website. If you want to follow this blog, please sign up for the FREE FORGIVENESS EBOOK in the box to the right. You can also subscribe to the RSS newsfeed, by clicking on the RSS button to the left of the screen and down a bit. Or you can get news of the latest pages on the blog by following me on twitter. My journey of faith was prompted by chronic illness. I spent 14 years bedbound with severe Chronic Fatigue Syndrome / Myalgic Encephalomyelitis (ME/CFS). I had a poor level of support and I lived life at survival level. In the natural world, my life was not worth living. I became very motivated to put my roots down into a reality beyond this world. Are you exploring spirituality while living with chronic illness or another life challenge? Are you interested in finding Peace and Love within your life now? Know that you are not alone. Many are exploring spirituality alongside you and God is HERE and NOW. God is the love, the Presence available in the present moment. Why Pursue A Practical Spirituality? I did not find the answers to my problems in the physical world. I have never found in the world the Love and sense of completion I find in walking the spiritual path. I go deeper into knowledge of my Oneness with God. We can learn to use the circumstances and feelings we most resist to develop a very practical spirituality. We can receive the gifts of Joy, Love and Peace that lie behind the problems. I give advice on the spiritual practices that have helped me. Many are shared by different faith traditions. Please let Spirit guide you to what is right for you on this website. 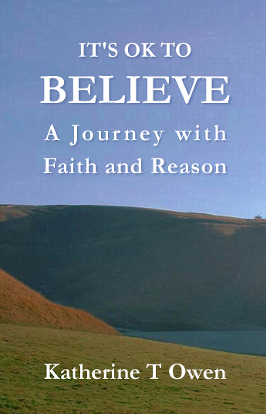 This website includes inspirational faith quotes from A Course In Miracles and The Bible. Spirituality quotes and verses are powerful words we can confess over our lives to shift our perception and build our faith. I am an interfaith Christian. I am inspired by the holy book of the Bible but also by the book A Course In Miracles. I recognise many different paths to God. I moved away from religion for many years. I guess you could now say I am both spiritual and religious. I go to church each week and very much find God there. Whether you see this website as expressing either a Christian spirituality or Catholic spirituality will depend entirely on your perspective. I am certainly inspired by and grateful to those faith traditions. I am a Christian mystic - more concerned with spiritual practice and spiritual experience than with doctrine or dogma. I share a personal spirituality, finding God in 'all that is' and allowing God to talk to me. It is my happy experience that many who are religious and many who are spiritual-but-not-religious do the same. Whatever practices we follow, in a moment of awakening we know we are united. We know we are all part of God, the Divine, Source. The words don't matter. They really don't matter. Go deep enough into God and We Are One. When we are not in that moment of spiritual awakening though, things can feel lonely, perhaps even a kind of loneliness that we haven't felt before. We may initially have few friends who are following the spiritual path. We may actually feel less happy in the world after we have experienced the richness of knowing ourselves as Spirit. To overcome doubts, we need to persevere and engage in an ongoing spiritual practice. One way to keep communicating with God is to expose ourselves to the ideas, energy and companionship of others on the spiritual journey. This spiritual blog offers companionship, validation and guidance on this spiritual journey of awakening. This is it. This is the path to joy. Forgiveness exercises kept me sane. Forgiveness allows me to be more and more joyful living with myself and with the people in my life. Forgiveness helped me to heal from 14 years of being bedbound. Forgiveness is the path to God. Most of my poems (and self-talk work) are accompanied by a forgiveness exercise called "the release". I developed this method to keep my heart open to God in times when I might otherwise have been overcome with fear and anger. A FREE ebook on these exercises for releasing judgement is available. See the top right of this page. 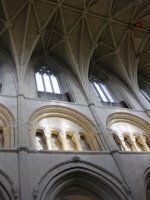 This blog contains quotes, poems and prayers on forgiveness. My journey is one of poetry and healing. As I surrendered to God, my head filled with what I now call inspirations - poems and thought-bites on the journey of holistic healing. When I had more severe Myalgic Encephalomyelitis I could physically write very little. I used a dictaphone to record the poems in my head. I have collected these into a number of books, of which IT'S OK TO BELIEVE, A Journey with Faith and Reason is the first to be published. 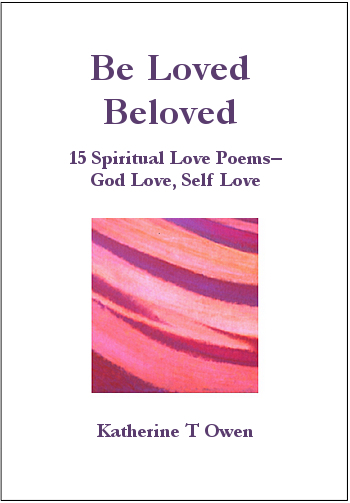 One of the purposes of this website is to share my inspirational books and poems with you. The blog is also a financial venture. If you see adverts or self help or spiritual books that interest you, please do click on them. There is no extra cost to you, and I receive a commission. This will help me to be able to share the advice that helped me survive and learn from the years of living with chronic illness - severe ME/CFS. My inspirational poems are weaved throughout this blog. My journey involves holistic healing - the healing of mind, body and spirit. The word “heal” has the same root as the words holy and whole. The journey of spirituality and healing is the journey of awakening to the knowledge that we are part of God, that we are Love, that we all have access to the same Unity Consciousness. As we explore spirituality and healing, many wonderful changes can also take place in our physical health and in our experience of the world. May God bless all who come here. May He always guide us on our spiritual journey. God's guidance, spiritual practice, forgiveness, love, blessing, silence, commitment, books, quotes. Is it possible to reconcile faith and reason? Click on the book cover above to VIEW or BUY the book.